Filtra-Trap® high quality stainless steel filtration mesh grease traps are designed for high performance & easy cleaning. 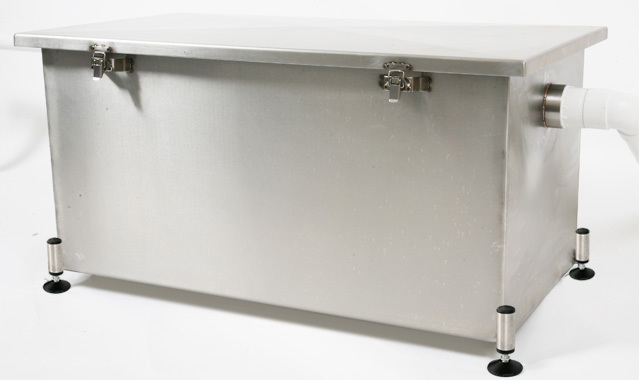 We at Clearflow are leaders in grease trap design and sell Filtra-Traps® direct. Cutting out the middlemen and keeping to your budgets. installation. This unit is adequate for most small takeaways, cafes restaurants etc with 1-2 small commercial sinks and dishwasher. installation. This unit is adequate for most small / medium size restaurants with 1-2 small / medium commercial sinks & dishwasher. installation. This unit is adequate for most medium size restaurants with 1-2 medium commercial sinks & dishwasher. The LG 700 has a 70 litre capacity and is designed for under workbench or external installation. This unit is adequate for most medium size restaurants with 1-3 medium commercial sinks & dishwasher. The LG 500 has a 80 litre capacity and is designed for internal or external installation. The LG 800 has a 120 litre capacity and is designed for internal or external installation. This unit is adequate for large restaurants & hotels with 1-3 medium / large commercial sinks & dishwasher. Really great service, with good quality product, delivered very quickly, at a good price. We'll be using again. Just one word, Brilliant ! Service was superb. Goods arrived next day on a AM delivery. Excellent. Very easy to order & delivery arrived quicker than expected. Excellent service. installation. This unit is adequate for most medium size restaurants with 1-3 large commercial sinks & dishwasher. The LG 1250 has a 250 litre capacity and is designed for internal or external installation. This unit is adequate for most large restaurants & hotels, with with multiple sinks & dishwasher. Came complete with fittings, Easy to follow photographic stage by stage Instructions. The unit arrived next day. 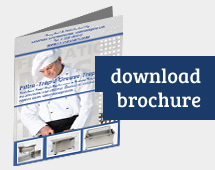 A very high quality grease interceptor would recommend to other restauranteurs. All Rights Reserved 2009 | www.filtratraps.com | .